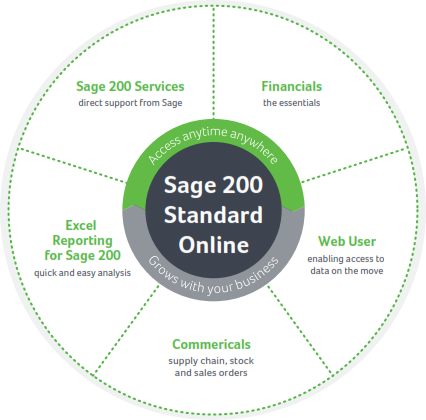 Sage 200 Standard Online is a brand new offering from Sage, which will be launched in October. We thought it would be good to give a sneak preview as to what you can expect from this fantastic new product. Sage 200 Extra - this was the Sage 200 product we all know and love. It's just been re-branded and is now known as Sage 200 Extra. Sage 200 Extra is the On Premise version, which is installed onto your server. You can also purchase the software on a subscription basis, which can be useful, particuarly if you want to ease the pressure on your cash flow. Sage 200 Extra includes all of Sage 200 Extra Online modules plus more in-depth features such as CRM, Manufacturing and Business Intelligence. Sage 200 Extra can integrate with other applications or can be developed or modified to suit specific business requirements. Sage 200 Extra Online - previously known as Sage 200 Online, this is the hosted version, which offers a depth of functionality for more complex business without having to invest in a server to run your software. In addition to the standard financial and commercial modules, Sage 200 Extra Online offers functionality such as Bill of Materials, Project Accounting and Purchase Order Authorisation. Sage 200 Extra Online can also be customised or integrated with other applications. 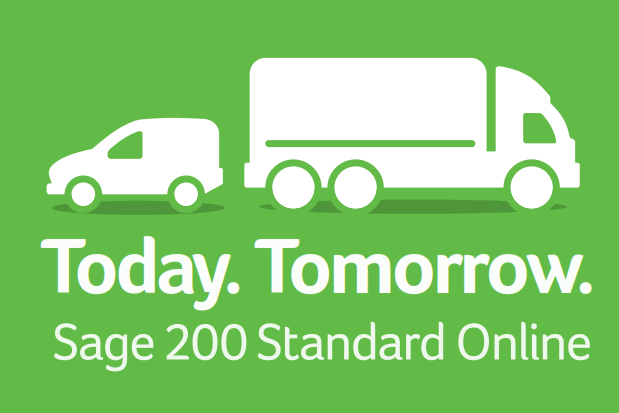 Now in addition to the above, Sage 200 Standard Online is on the way. This is an online offering which sits between our Sage 50 product and Sage 200 Extra. It is a straighforward accounting solution for businesses who need an affordable online accounting solution. Okay now the branding is clarified, let's take a quick look at some of the features and benefits of this fantastic new Sage 200 Standard. Sage 200 Standard Online brings together your business accounts with our new interactive dashboards for sales, purchases, sales orders, purchase orders, stock control and financials, giving you an even greater view of the health of your business. And you can use Excel reporting for extra analysis. So, why should I choose Sage 200 Standard Online? You can pay monthly - ideal for small to medium sized businesses looking for the flexibility to pay for their software on a monthly basis. It grows with your business - Sage 200 Standard Online is a scalable solution so you can easily add or remove users, companies, additional services and reporting to suit your business. Share information anytime, anywhere across the organisation - because the software links with other areas of your organisation, it gives people across the whole of your business access to accurate and timely information. The dashboards present the information in a graphical and meaningful way. Get up and running quickly - with the Getting Started Homepage, you'll quickly become familiar with the software. Some customers moving from a traditional accounting software model to a hosted online model, sometimes raise concerns about their data security and availability. Don't worry, Sage have all of these boxes ticked. Data is secure - No need to worry, your data is secure. The software runs on Microsoft Azure platform. The datacentres comply with key industry standards such as ISO/IEC 27001:2005 for security and reliability. Guaranteed 24-7 availability - Sage's team of experts monitor the service that is provided to its customers. They make sure that the platform and software are available 24-7 and they guarantee 99.9% service availability within their terms & conditions. Sage 200 Standard Online is a great option for Sage 50 users looking to move up to an affordable, more advanced solution. Plus, your Sage 50 will be migrated as part of the price. Before you make any decisions on your next accounting software move, join our webinar and find out how Sage 200 Standard Online could benefit your business.